Rental prices fluctuate in every area, so asking a landlord to review your rent may be a good idea to make sure that you are not paying above the odds for your accommodation. In order to ensure that you have a right to rent reviews, include this information in your rental agreement. Research competing properties in your area prior to requesting a review, however, so that you don’t end up finding out that your rent should be increased to stay competitive. Be ready to negotiate for a lower rent and don’t forget to agree on what will happen to your existing deposit should your rent be lowered as well. When the rent will be reviewed (dates or lengths of time). How the rent review process will be initiated. How the rent review process will be carried out. Any external factors which will be used in the rent review process. What kind of agreement is necessary for a change in rent. What documents will need to be signed for a change in rent. 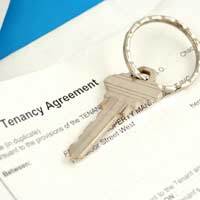 As a tenant you will likely only ask for a rent review if you believe your rent is too high. You will probably base this decision on the “market rent” (fair market value for rent) of accommodations similar to your own in your area. “In your area” is debatable, but attempt to look for properties within a mile or two of your own (up to about 3km) and with a similar number of square meters so that you can discuss price per square meter. If you have extra access to amenities such as laundry facilities, gym, pool or reception or security personnel, don’t forget to factor this into your own rent. Using an external index such as the Residential Rental Price Index (RRPI) may help you provide more information on average rents as well. Giving up access to something (parking, an external building on the property, etc). Taking over a service of some sort (e.g., taking care of the garden). Paying rent in a different manner (by direct deposit, in cash, etc). Changing the type of rental (e.g., giving back furniture to become an unfurnished rental). If you do succeed in lowering your rent after a rent review, make sure you know what will happen to the existing deposit your landlord is holding. Will you have a portion of it returned to you to reflect your lower rent? Will your landlord maintain control of the amount you originally gave him or her? Make sure you understand the amount at stake and who has control over it before considering the case closed. When a tenant asks for a rent review from a landlord it is usually because (s)he believes (s)he is paying too much rent for a given accommodation. If you are interested in regular rent reviews from your landlord make sure you detail this in your rental agreement, research competitive properties and market rent in your area, be ready to negotiate for a lower rent and decide what you would like to happen to your existing rent deposit before entering into any formal agreements.